9/1 10:30 am Peoples Playground Slackasana Conditioning- 1pm Slackasana 101 Rob Lenfestey & YogaSlackers! 9/2 10am Peoples Playground Slackasana Conditioning- 1pm Slackasana 101 Rob Lenfestey & YogaSlackers! 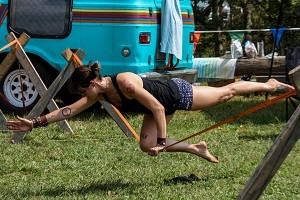 9/3 10am Peoples Playground Slackasana Conditioning- 1:30 Slack Line Fun Rob Lenfestey & YogaSlackers! 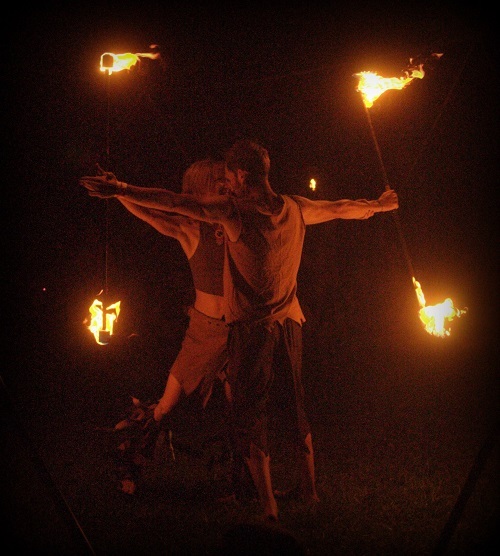 Dance Afire Productions is a fire dance performance company. 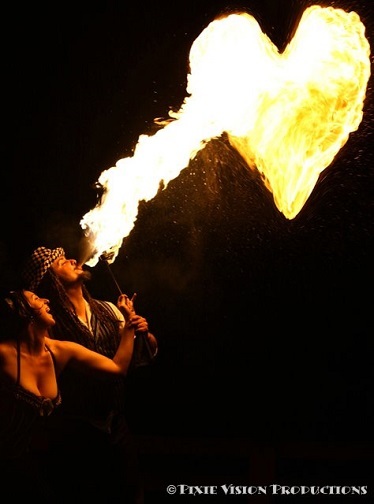 Born in the heady artistic flames of Washington DC we have recently moved our home base to the mountain town of Floyd, VA. Regardless of where we hail from we light up hearts and minds with our movement driven storytelling and breathtaking spectacle. 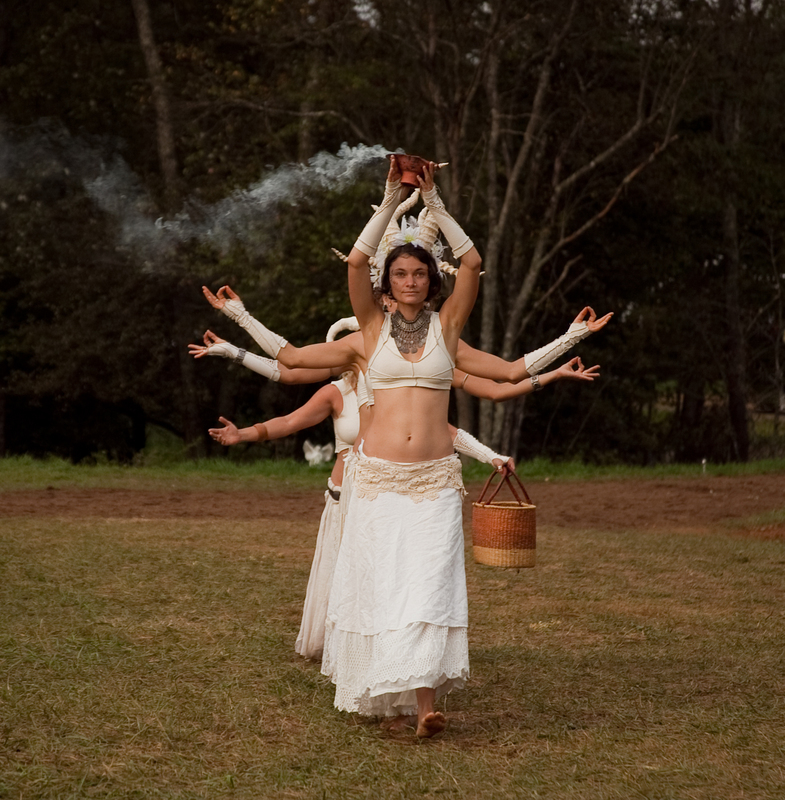 Dance Afire offers unique and unforgettable performances that can be worked into any event. From light atmospheric movement to driven center-stage choreography, we offer a variety of different skills and performance options. For ideas, themes and our thoughts on remuneration contact us on Facebook. techniques for those wanting to learn more. 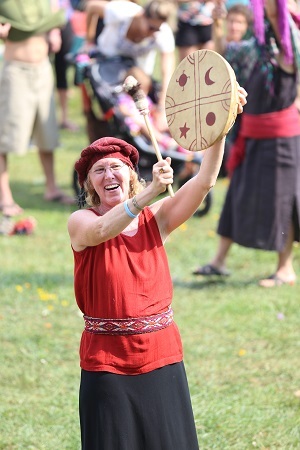 It also provides an area for the already growing number of people involved in the flow arts community to converge and connect with each other. 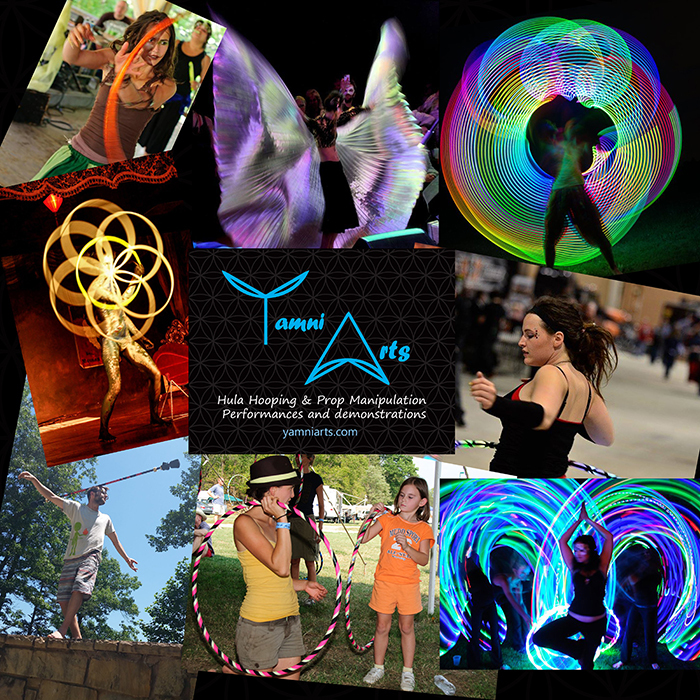 We provide an array of flow-tools (Hoops, Staff, juggling sticks, and Poi) for people of all ages to come try out for free and at their own leisure. We also provide approachable, fun, on-the-spotinstruction for beginners for all of our flow-tools if they desire. Benefits to dancing with flow-tools include increased cardiovascular strength, hand-eye coordination, improved movement in motor skills, relief from anxiety and depression, and an uncontrollable desire to smile and be joyful.